This hat was designed by my 8 year old niece. 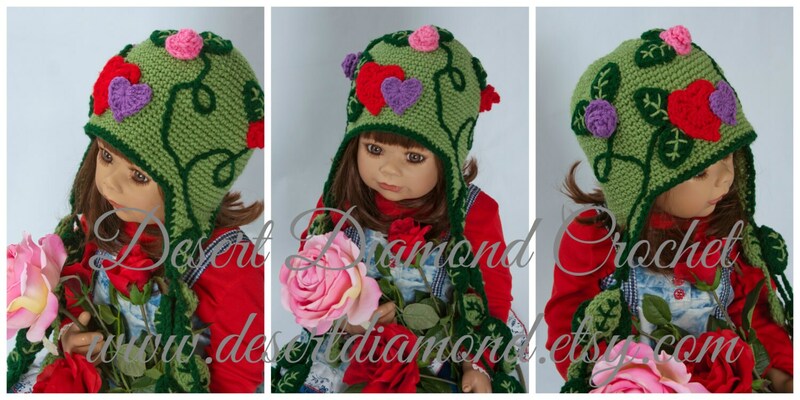 She asked me if I could design a green hat with hearts and leaves. When I asked her what she was trying to convey, she said "I want something with love and grow". 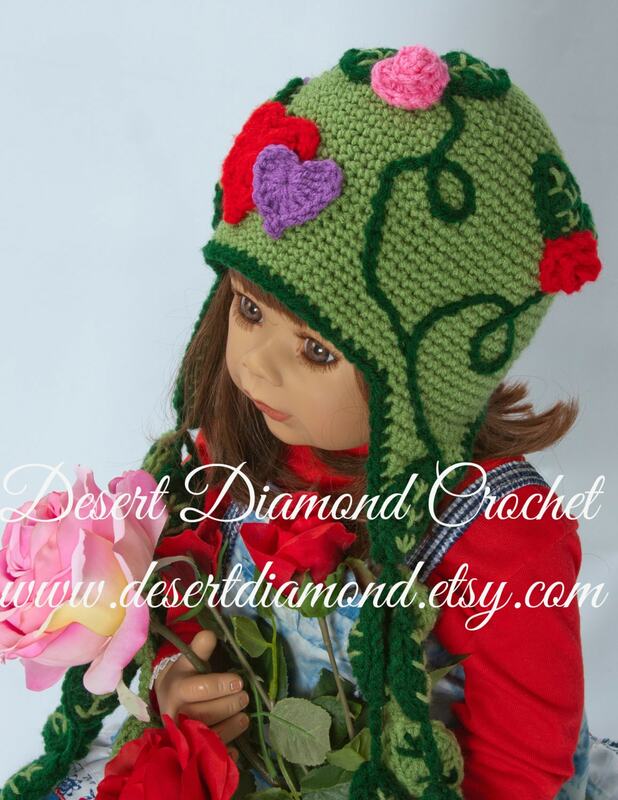 Alas, here is her new hat "Let Love Grow". 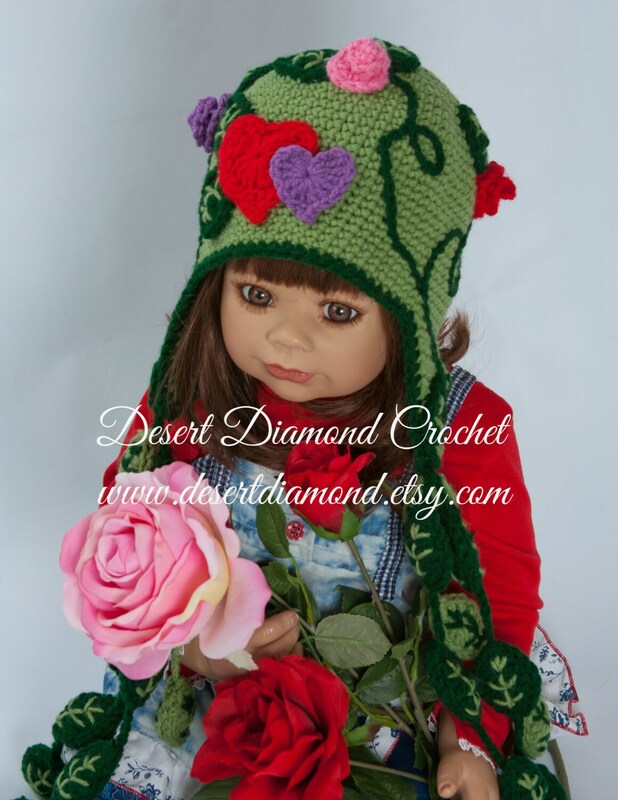 The innocence of a child and a beautiful young lady completely touched my heart as I designed this for her and I hope she will touch hearts around the world! 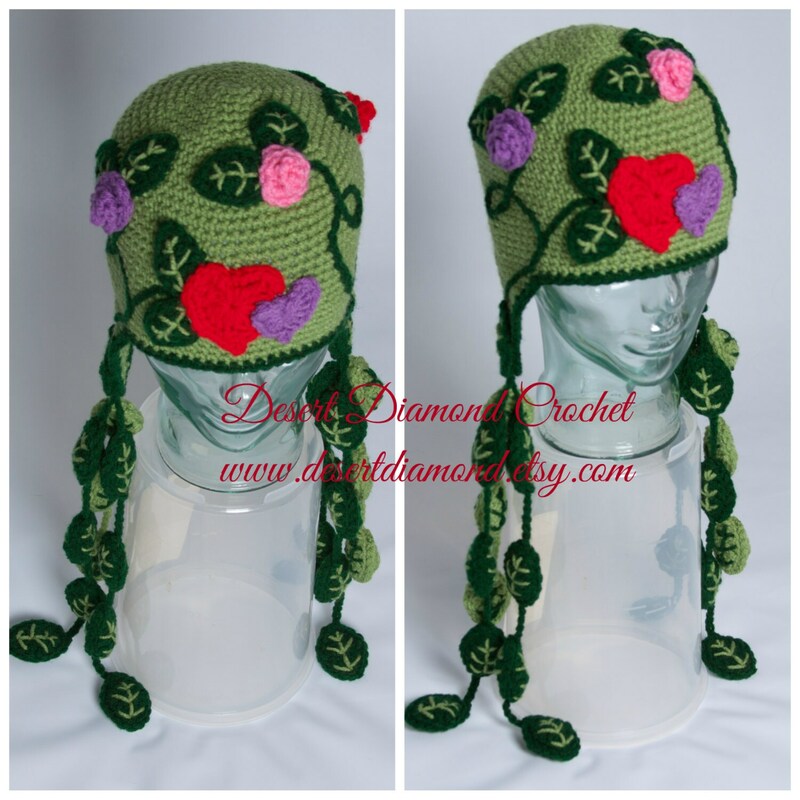 The tassels are made of leaves going up to the earflaps. 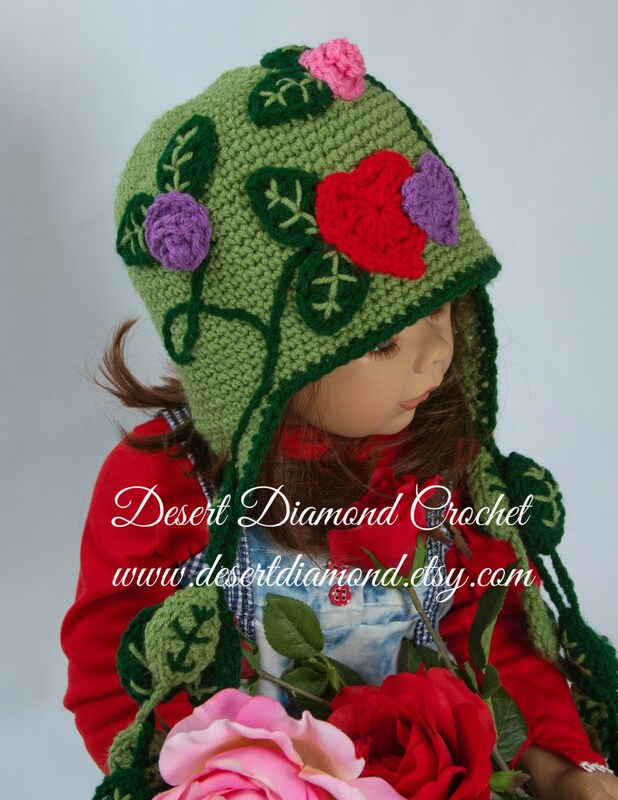 Surface stitch vines accent the hat with leaves and roses with the final blooms being the two large hearts at the center.